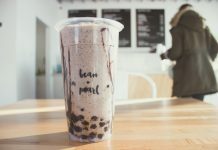 Although it has only been open for two years, Xaymaca Restaurant has already become a hot spot for family dinners, celebrations and date nights for people of all ages. Inside, you’ll find comfortable seating, clean chocolate-coloured walls and polished wooden chairs with thick tabletops. The tables are spaced nicely so you won’t overhear too many conversations, and televisions—showing sports on our visit—top the extensive bar. The family-run business specializes in seafood and Jamaican fusion dishes. 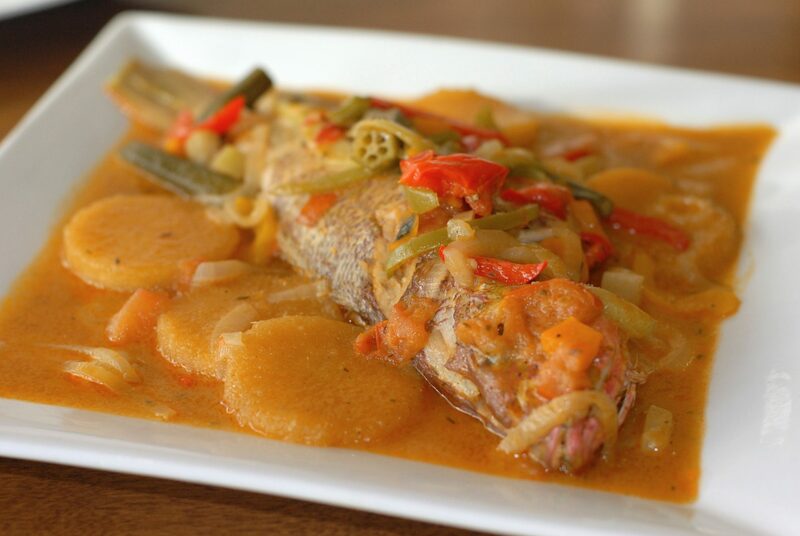 The food originates from Old Harbour, the main fishing town in southern Jamaica. Many of the meals on the menu are home-cooked dishes. The steamed snapper is the chef’s specialty. Bone-in and slightly tricky to eat for the inexperienced, the snapper is a very light, flaky fish. It’s served traditionally with okra—the okra was phenomenal—and julienned vegetables in a light broth made with garlic, coconut milk, butter and fish stock. The dish is lighter in flavour to allow the vegetables and broth to not overpower the fish. 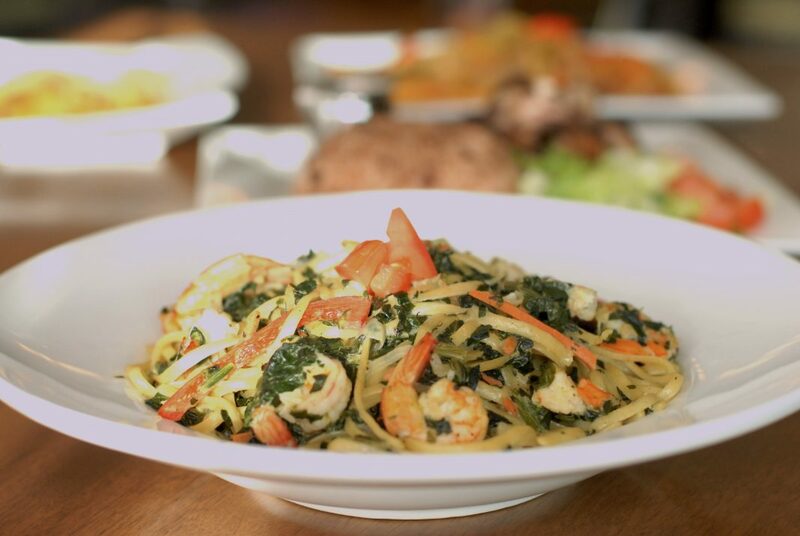 The shrimp and spinach linguine is a delight. The shrimp is juicy, the spinach adds texture and the savoury mix of the sweetness of the coconut cream and the Jamaican spice made the dish incredible. Not only is it a suitable dish for the lactose intolerant, this is arguably one of the best pasta fusion dishes in the city. Finally, the jerk chicken with rice and peas is a worthy mention. The chicken is juicy and well-seasoned. Xaymaca also offers an interesting mix of other dishes, including jerked pulled pork sliders and a bar-b fried chicken sandwich, vegetarian offerings and of course, the classics like ackee and salted fish, ox tail and curry goat. While the jerk is delicious at Xaymaca, the seafood and fusion dishes are the stars of the show. If you need a change of pace with Caribbean cuisine, an innovative take on spice or an introduction into Jamaican flavours, Xaymaca Restaurant is the perfect place to try something new. Xaymaca Restaurant is located at 30 Kennedy Rd S. at Kennedy Rd. and Orenda Dr. and is open Tuesday to Sunday.